Serious or gonzo journalism, critical looks at culture. All submissions must be your own, original work. See Rights Statement on the Submission Manager page. All copyrights remain with the author or artist/photographer. 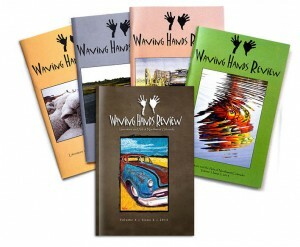 You will be notified by email by March 31 if your submission has been accepted for publication. Please do not contact us; we will contact you. Fifty dollars will be made in each of the following four categories: 1) artwork (including photography) 2) poetry 3) fiction 4) nonfiction (creative non-fiction, essays, journalism). Fiction, creative non-fiction, and essays should not exceed 10 double-spaced pages. Poems should not exceed 50 lines. See Submission Guidelines for details. 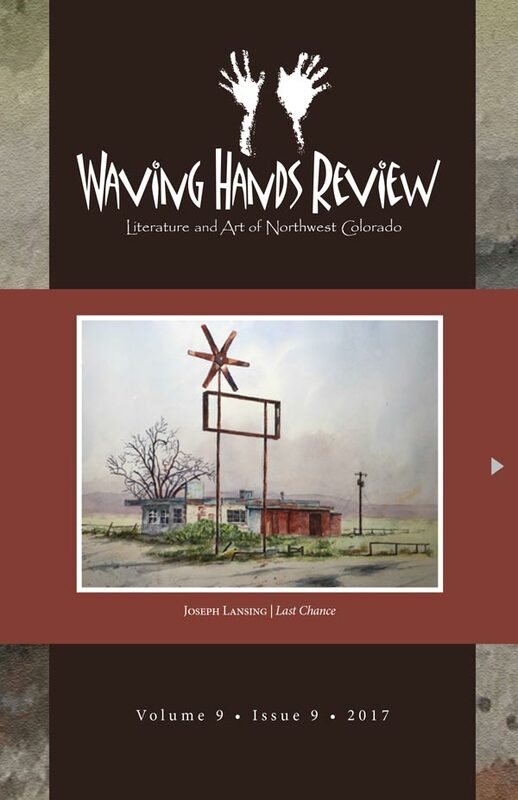 While Waving Hands Review is open to a wide range of subjects and styles, work that is gratuitously racist, sexist, or violent, or written exclusively for shock value, will not be considered.